Obviously Seth is a wealth of knowledge, wisdom, and insight. Let me know what you thought of the interview. 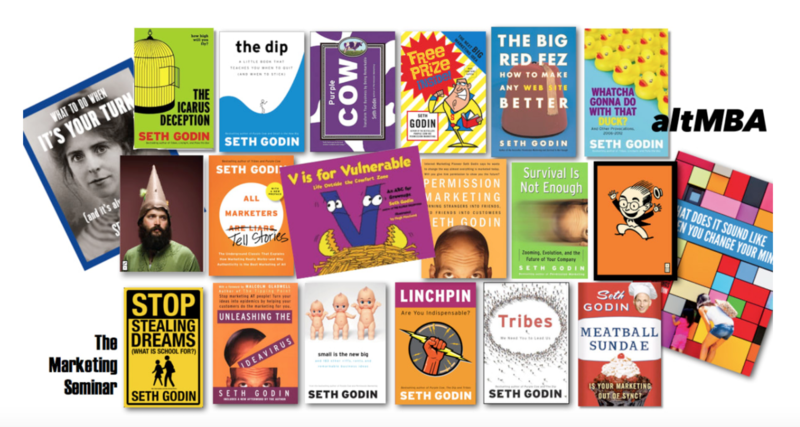 Powerful Promise of Value: Seth Godin is an author, entrepreneur and most of all, a teacher. He is an entrepreneur, best-selling author, and speaker. In addition to launching one of the most popular blogs in the world, he has written 18 best-selling books, including The Dip, Linchpin, Purple Cow, Tribes, and What To Do When It’s Your Turn (And It’s Always Your Turn). Though renowned for his writing and speaking, Seth also founded two companies, Squidoo and Yoyodyne (acquired by Yahoo! ).